Construction industry and telematics: what are the benefits of this technology? Construction projects are increasingly operating to extremely thin margins. Any technological help to keep the project profitable should be more than welcome. With SynX, you can protect vehicles, drivers and optimise operations - if you want to know how, call us today. Construction sector fleets are usually made of mixed, extremely expensive equipment. Construction sector budgets tend to be extremely tight and margins increasingly low. Construction sector tight budgets force managers to cut on costs or expenses that are sometimes necessary. Construction is one of the sectors with the highest safety risks for employees. Constructions companies need to control which machines are operating and if they are in the right area. Corporate, social, environmental responsibility, as in all industries, has to meet expectations. Construction companies need to control all assets, vehicles power and driver often drive different vehicles. SynX keeps you an assets inventory, able to locate them at any time, preventing theft. SynX makes you save money and time securing your margins - even increasing them! SynX helps you monitor risks, working hours, logbooks and keeping staff and general public safe. 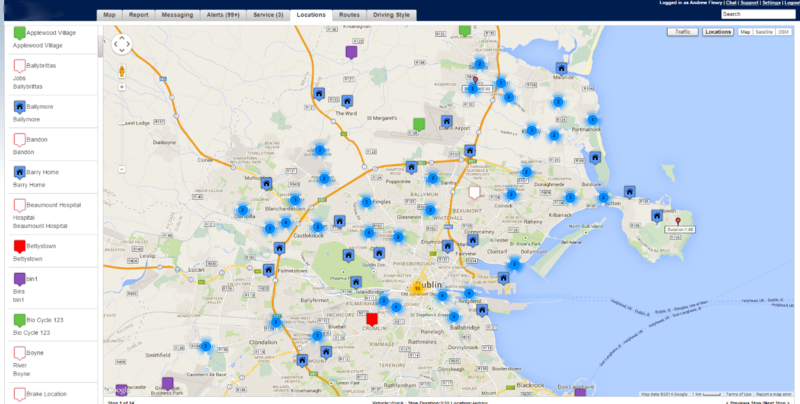 With SynX you can have a look at vehicles'activity at any time, from any device and place. With SynX you can run a responsible, safe, greener, 100% compliant fleet. Add-ons for driver identification, equipment activity and asset tracking are available with SynX. Request a FREE SynX Demo or Quote! All the costs of your construction fleet under control: check all the metrics and the reports to start cutting costs and optimising resources. Dangerous driving and idling alerts: check the driving style of your staff and make them switch to eco-driving. Boost safety decreasing insurance premiums, fuel consumption and your carbon footprint. Maintenance section and walkaround checks to help you optimising schedules, being compliant, keeping logbooks: all saving time and money. See where your vehicles are at any time on Google Maps or Streetview. Customise locations and restrict vehicle access area with geofencing. Track connected devices with PTO feature - available as add-on. Monitor drivers with Driver ID add-on and mobile assets with asset tracking in order to further optimise fleet operations.